You’re lower back pain is preventing you from getting a productive day of work done, and you’re on a tight deadline. You’re filled with anxiety anytime you try to go to bed, and are desperate to have a six hour block of uninterrupted sleep time. You loathe the thought of monotonously jogging on the treadmill…again. If your body lately has felt more like a war zone than a temple, it’s time to get things moving in a new and exciting way and reclaim that beautiful body of yours! Whether you need to add some excitement to your workout or need some relief from your aches and pains, yoga is your ticket to ride. Here are the top five reasons to add some sun salutations and tree poses into your life, asap! There’s no better feeling that conquering a large project at work with flying colors. But what happens when you can barely focus for a ten minute block of time? How do you accomplish your tasks for the day when you mind is in overdrive? Depending on your yoga instructor, hatha yoga, Vinyasa and Kundalini yoga classes offer short meditations at the beginning and/or end of each class. If you’re a beginner, expect a guided breathing meditation, as well as a creative visualization that usually ends with “Namaste.” You’ll leave your yoga class feeling calm, centered and mentally prepared to handle your tasks with force and fortitude. Consider the popular Tree pose to improve your balance. 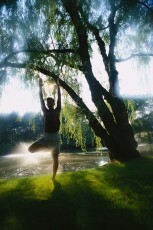 Practice the Tree pose on a weekly basis, and you’ll notice a vast change in your spine, ankles, calves and gluts. Start by standing up straight, and then lean towards your right side. Bend your right knee and bring it out to the side and clasp it right near your right ankle. Now raise it up until you have it pressed up against your inner left thigh. Place your hands in a prayer position and in front of you. Breathe in and out, holding your pose for up to 10 seconds. Do you deal with chronic bronchitis every Winter, or always seem to get a cold right before your big presentation for the CEO? Use yoga to help you land that promotion! Boost up the health of your immune system through any of one of the following poses: child’s pose, cat-cow pose, or the chest opening the upper back pose – which will all work to activate the primary gland of the immune system. 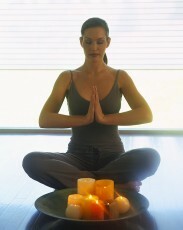 Yoga can be an excellent tool to weight loss. Adding a yoga class or two each week to your workout (along with cardio and strength training) will allow you to see enhanced results that you couldn’t get with your regular workout alone, according to recent studies. It will help you to be more conscious of what you’re eating, as well as allow you to burn fat more effectively as you go about your day. Studies have shown that engaging in yoga on a regular basis has the potential to reduce stress, increase energy, and reduce chronic aches and pains. In order to feel better and have more energy, squeeze in a beginner’s yoga class. Pranayama (breathing exercises) will rejuvenate your entire nervous system and as a result, bring on clarity, release tension and create that inner peace you’ve been missing. Does Exercise Make You Mentally Smarter?